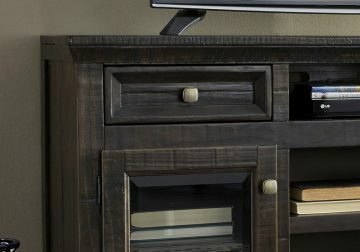 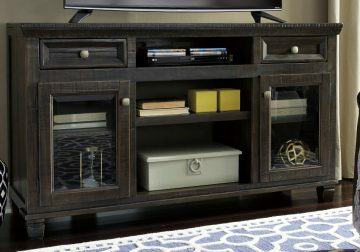 Showcasing knotty pine wood and pine veneers, the Mallacar TV stand is sure to give an eclectically styled room a grounded sensibility. 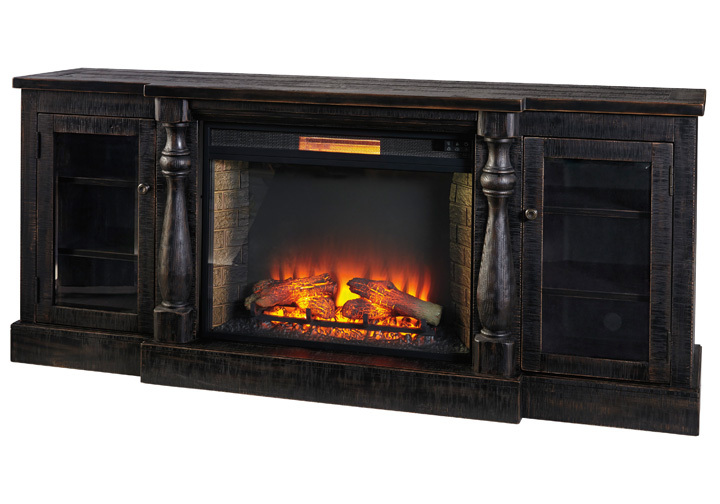 Saw marks and rubbed-through distressing make the vintage black finish that much more alluring. 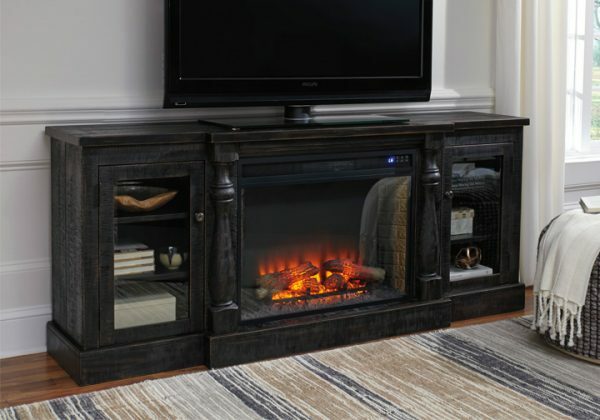 If it’s drama you’re after, opt for the optional electric fireplace insert. The fireplace insert includes an electric flame feature that operates with or without heat, six-level temperature setting, five levels of brightness and remote control—along with an overheating control device for added safety.